Several on-farm Demonstration Sites have been established in Illinois to combine agronomic and conservation practices demonstrations with water quality monitoring. 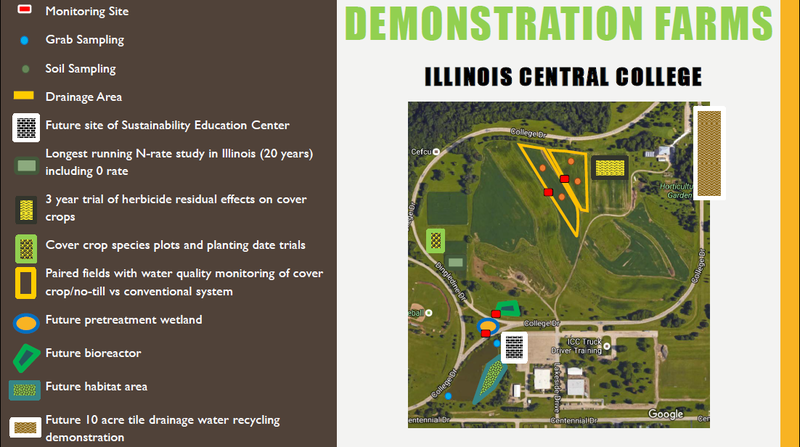 Two main sites are the Illinois Central College site and Kirk Kimble Farm site. These sites provide hands on demonstrations of practices ranging from nutrient management to cover crops to edge of field water quality treatment, such as bioreactors and wetlands. The network brings together field scale water quality monitoring with cover crop trials, including Soil Health Partnership sites, Community College soils labs and water quality demo sites, the ICGA Field Lab in Blue Mound, and other edge-of-field monitoring sites. ISAP will focus on compiling and translating these outcomes in plain, practical language that will reach the middle adopter audience. 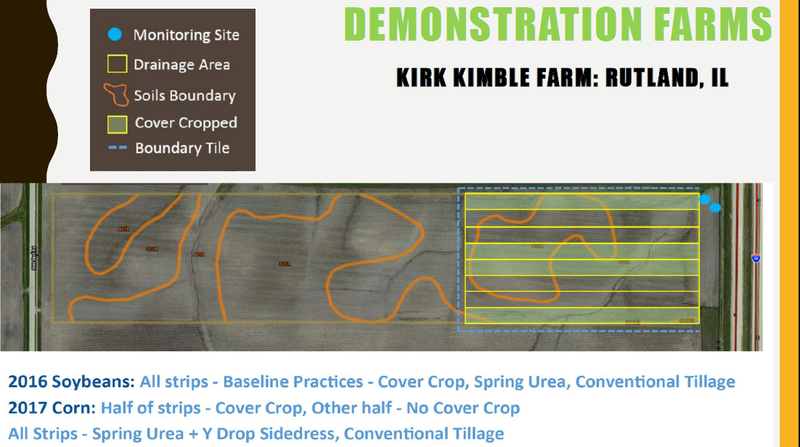 The Illinois Central College and Kimble Farm in-field and edge-of-field demonstration sites will be used to showcase practices and test plots through meetings and field days, emphasizing production, soil health, and water quality benefits.